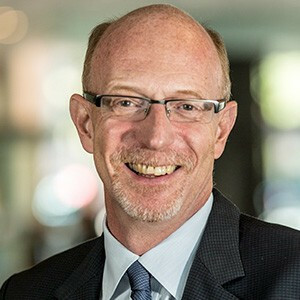 The Board of Governors decided on Monday to appoint Graham Carr as permanent provost of Concordia University. Carr has been serving as interim provost since May 1. He has filled multiple administrative positions throughout his career at Concordia, including Dean of Graduate Studies. He also served as VP of Research and Graduate Studies, and is a professor in the History department. Carr’s appointment comes at the tail end of the second phase of the university’s 9 Strategic Directions. This phase ended in April 2016, and involved more detailed planning and the creation of specific goals and objectives for the university. “This year, the challenge is to begin to implement the game plan, and part of that involves establishing priorities going forward,” Carr said at a Senate meeting on Sept. 16. To this end, they came up with nine priorities for the year—which are separate from the official 9 Strategic Directions—including one labelled “Indigenous Strategy,” which aims to increase visibility for First Nations research. “Frankly, we’re behind in this, and I think we understand that,” Carr said. Carr believes that Concordia is “well positioned” to Indigenous communities in Quebec, and referenced a “very large constituency” of researchers who do work at Concordia related to this topic. “Over the course of this year, we want to make it a priority for Concordia to do more with Indigenous communities—and position Concordia as a leader in Quebec in developing Indigenous curriculum and supporting Indigenous students,” he said. The Concordia Student Union General Coordinator, Lucinda Marshall-Kiparissis, was surprised to see Carr appointed to the position permanently after having served in the interim, and questioned the conventionality of the move. “This isn’t a critique of Carr as a candidate—I’ve worked with him in his capacity as VP Research and Graduate Affairs, and it’ll be interesting to work with him in his new capacity as Provost—but when I saw his name come up in the announcement it was genuinely unexpected,” she said in a written statement. There’s no rule against having someone who has served in an interim capacity from applying for the position on a permanent basis, according to university spokesperson Chris Mota. She provided one precedent of this scenario, referring to Guylaine Beaudry, who served as interim Librarian before being hired to the position permanently. Mota couldn’t say whether or not other candidates were considered, explaining that the process is confidential. For a detailed overview of the policy on senior administrative appointments, read here.